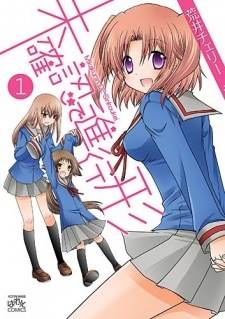 The manga is about an ordinary girl Yonomi Kobeni who suddenly heard that she is betrothed to a guy Mitsumine Hakuya who is the same age as her. Somehow Hakuya moved in from countryside and started to live with her, bringing his younger sister who is still a primary school student with him. Added Kobeni's elder sister who already lives with Kobeni and is 2 year older, the story revolves around these 4 people and their identities as "couples" and "sisters-in-law."